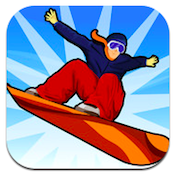 Snowboard Xtreme, developed by PogiPlay, Inc., has similar gameplay physics to another game we recently reviewed. 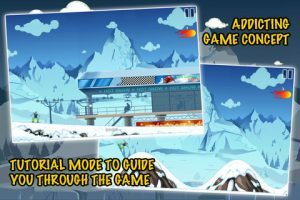 LikeTiny Birds Run, Snowboard Xtreme is an iPhone game that features rolling hills that you need to slide down and glide over. Both games also have some similar control features. But despite some similarities, Snowboard Xtreme is definitely it’s own beast, and a bit more fun than Tiny Birds Run. To start with, it’s more expansive. 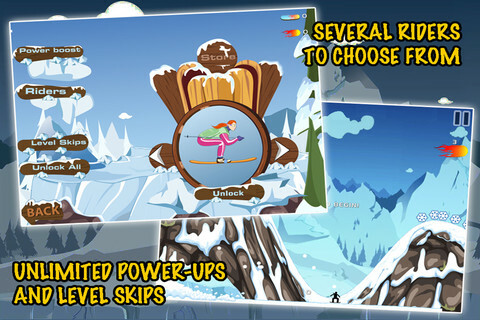 Snowboard Xtreme consists of 25 levels, each of which is harder than the next. The level difficulty right out of the gate is refreshingly high. Rather than being frustrating, this level of difficulty in the early levels is challenging and engaging. 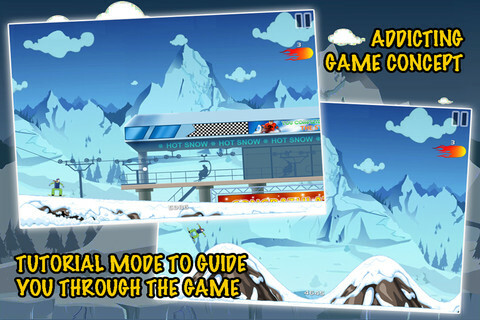 The controls in Snowboard Xtreme are fairly simple: hold your index finger down on the screen to make your boarder crouch down and gain speed, then release your finger as you come up a slope to go flying off and get some serious air. Get stuck? There’s a flame icon that you can tap to ramp up your speed and go flying higher than ever before! If you don’t mind shelling out a few extra bucks, you can get some helpful in-game upgrades. In addition to getting rid of some very large, very annoying ads in between levels, you can also choose from 9 different riders, select unlimited power-ups, and skip over the hardest levels. There’s also Game Center support, which allows you to compare your best runs with those of your friends and other players around the world. The music which accompanies Snowboard Xtreme may not be to everyone’s taste, but if you like chill out and lounge-type music stylings, you may just get into the groove with this sporty little iPhone game. 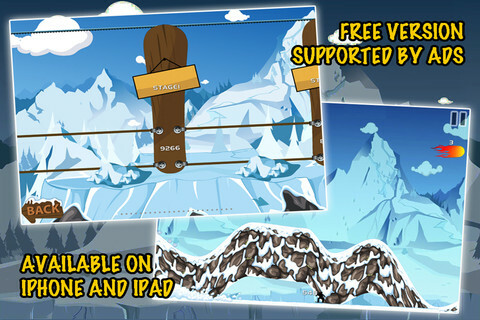 Snowboard Xtremeis compatible with iPhone, iPod touch, and iPad. Requires iOS 4.2 or later.A small expedite review was paid by the developer to speed up the publication of this iPhone game review.